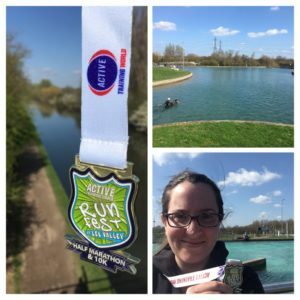 Nice work in the half marathon! It’s hard when you do “go for” a race. The temptation for me is to always just enjoy it and not try for a time. But sometimes it’s good to give it a blast. It’s a shame about the short Brighton race… I’d be very frustrated! 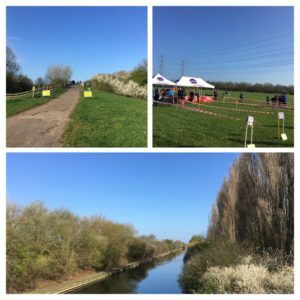 I’ve only run one parkrun that was short – and I was glad that they marked it as such and then added time onto the results because it gave me a very unattainable PB! Thanks! 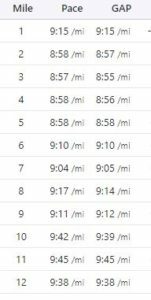 I think my next few races will be for fun again (although I did enjoy most of this one still). Good point about the pb- you’d find it hard to beat otherwise! That’s a respectable time for a half, well done you. The New Forest was short last year, I worked my socks off and the PB didn’t count but it did show me I could do it because there was enough of a margin. That’s so frustrating about your pb not counting, but like you say it shows you are capable of it. A short course is a bit frustrating, but it happens. When I ran the Aviemore half last October it came up short so Strava didn’t recognise it for my October half marathon badge. First world problems haha! Oh no, if it isn’t on Strava then did it even happen?! 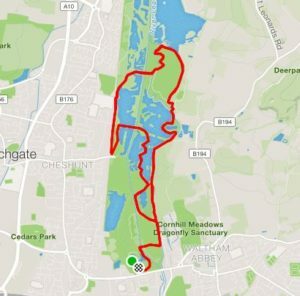 I ran a parkrun recently that came up at 2.8 miles! Way off! 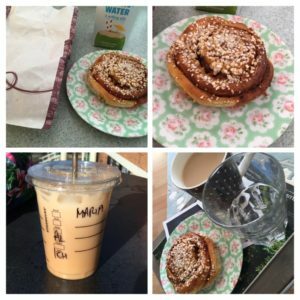 Previous Previous post: A Waffle House trip, fudge-making and my ultimate dinner!